New beauty products launch at an alarming rate, but it’s only every now and then that something comes along that makes me sit up in my chair and say “Oooooooo....!” Well exactly that happened this week when I heard about Dior’s new Velvet Eyes; adhesive eyeliner patches that allow you to create perfect winged eyeliner in a matter of minutes. Any woman who is a fan of winged eyeliner will know only too well the trials and tribulations of achieving the look. A steady hand is an absolute must to ensure the line is super-neat, and even when that’s been mastered I’ve lost count of the number of times I have finished the look only to realise that one eyeliner flick is higher than the other eye. Grrr! Add to that the fact that I tend to catch myself in the mirror half way during the evening only to realise I’ve rubbed part of an eyeliner flick off my face (surely I’m not on my own on that one?) that it tends to put me off bothering with the look altogether. So ready-made winged eyeliner is a welcome addition to my dressing table. 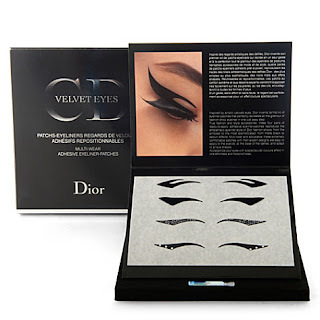 Making its appearance at Vogue’s Fashion Night Out in London’s Selfridges last night, Dior Velvet Eyes adhesive eyeliner patches work on the same principle as a stick-on tattoo, much like the Chanel temporary tattoos that created a furore on last season’s catwalks. The pack contains four different designs, including two decorated with Swarovski crystals. It’s priced at a mighty steep £47 per pack, but I would imagine that mass beauty brands will create their own, more affordable versions in time. If you want to get your mitts on a pack they are exclusive to Selfridges here or pop on down to the Dior Boutique on New Bond Street, London. 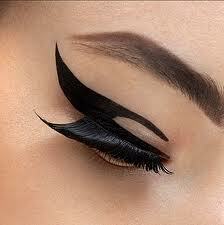 I'm an eyeliner addict and even I struggle to get the perfect flick - especially when I'm in a rush! 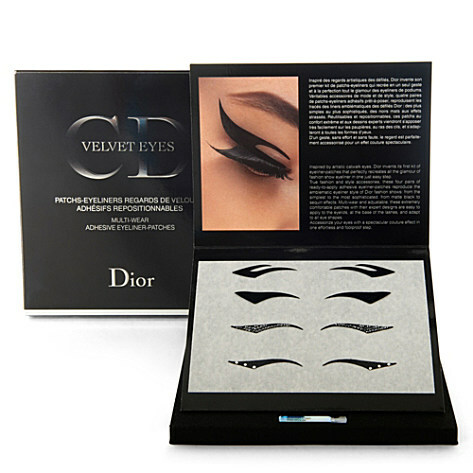 Dior's eyeliner patches look really amazing but I'm not sure I'd pay that much for something you can only use once... But I can imagine it being quite popular with women who aren't as skilled in applying makeup or want to experiment.